British-Ghanaian fashion designer are the newest additions to the already stellar line up of speakers slated for the LSE Africa Summit this weekend. Nnaji is an award-winning Nigerian filmmaker/actress with over 20 years of experience, whose directorial debut film, #Lionheart , was the first Nigerian film to be picked up by Netflix in January 2019. Boateng, a British fashion designer of #Ghanaian descent, known for his trademark twist on classic British tailoring, is connecting his cultural roots to his design style in an effort to create a modern African aesthetic. His fashion career has led him to an appointment as a Creative Director of menswear for French Fashion House, Givenchy in 2003, features in fashion shows across the globe, and creation of costumes for movie phenomenon, Black Panther . The organisers of the LSE Africa Summit saw it fit to include in their speaker line up, people of note who have taken the non-traditional career path, and can inspire the participants interested in the creative arts to broaden their perspectives. Nnaji and Boateng will both take part in a “fireside chat” where the audience will have an opportunity to interact with two of the most notable African creative exports in a more casual setting. opportunity for the audience to really get to know these two inspirational creatives, and learn from them,” says Aba Wilson, a Co-Director of the LSE Africa Summit. Nnaji and Boateng, will join a carefully curated line up of speakers including keynotes from Meaza Ashenafi, the Chief Justice of the Federal Supreme Court of Ethiopia and Ismail Ahmed, the Founder and Executive Chairman, WorldRemit. 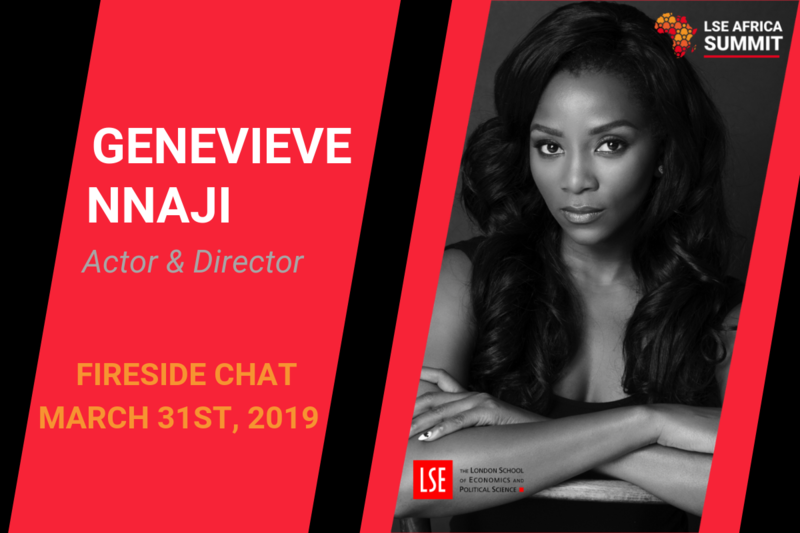 The London School of Economics and Political Science (LSE) is hosting the 6th Annual Africa Summit with the theme “ Africa’s Future Frontiers” scheduled to be held on Saturday 30th and Sunday 31 st of March 2019, bringing together renowned scholars, leading politicians, pan-Africanist thought leaders and entrepreneurial minds. This year’s theme aims to explore how Africa can navigate its crossroads to position itself for economic and social sustainability and inclusivity by tapping into Africa’s future frontiers. These frontiers include the prospects of reaching beyond its borders to bring about exponential growth, the revolutionising of banking to ensure financial inclusion; the establishment of the rule of law for a fairer and just Africa, the harnessing of technology for private sector development, and the embracing of a sustainability culture and African soft power for socio-cultural empowerment, among many others.